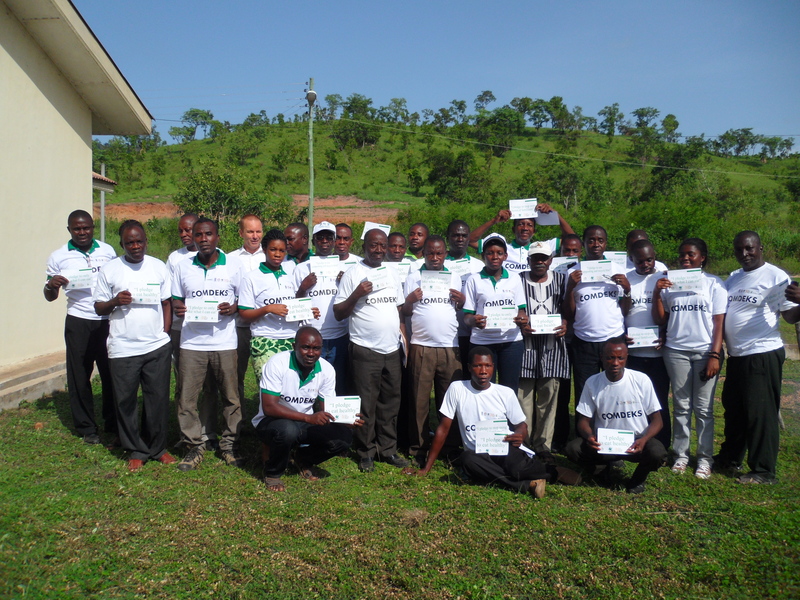 In launching this year’s World Environment Day (WED 2013), June 5, the GEF Small Grants Programme in Ghana organized a workshop for the Community Development and Knowledge Management for the Satoyama Initiative Project (COMDEKS) grantees; and a small celebration for the beneficiary communities in the Weto Range in the Volta Region. The event was attended by traditional authorities of the communities, the District Chief Executives (DCE) of South Dayi and Afadjato Districts, Hon. Kafui Bekwin and Hon. Angela Alorwu Tay respectively, stakeholders in the environment sector including the Forest Services Division, Ghana Fire Service, Ministry of Food and Agriculture and representatives of the nine (9) NGO’s implementing the COMDEKS/Satoyama Initiative Project along the Weto range and community members. The Community Development and Knowledge Management for the Satoyama Initiative (COMDEKS), is a global project funded by the Japan Biodiversity Fund, implemented by the United Nations Development Programme (UNDP) and delivered by the GEF Small Grants Programme (SGP). 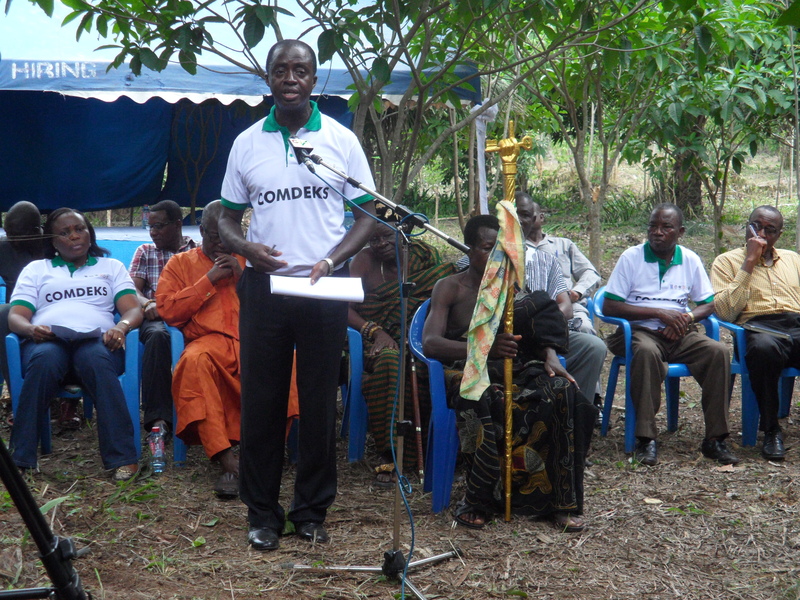 In his welcome address, the DCE of South Dayi District explained the aim of COMDEKS: to conserve biodiversity, while meeting the socio-economic needs of communities by providing for livelihoods, subsistence use of natural resources and the cultural values communities place on the environment. COMDEKS is centered on building a resilient and sustainable environment while ensuring sustainable food production and resource use. The keynote address, delivered by the DCE of Afadjato District, highlighted the theme of WED 2013, “Think. Eat. Save”, aimed at creating awareness on the amount of food wasted around the world and the significant amount of methane gas emanate from food decomposition on landfills, livestock production as well as crop production which contribute significantly to global warming. Hon. Angela Alorwu Tay concluded her message commending the GEF SGP for the Satoyama Initiative Project in the Volta Region, urging all to support and sustain the project, and outlining some of the progress so far. ‘Although the full implementation of the programme is barely two years ago, significant changes have been observed in the behaviour of the people. 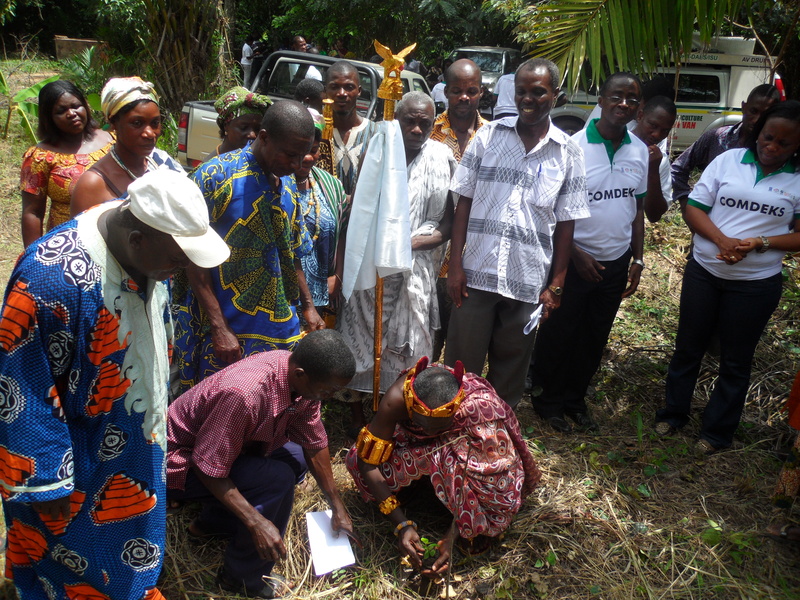 During the last dry season, the incidence of bushfires around the WETO range was negligible and people are now aware of the environmental consequences of bushfires.’ Tree planting has improved and cocoa cultivation is coming back as the major agro forestry crop within the degraded areas. 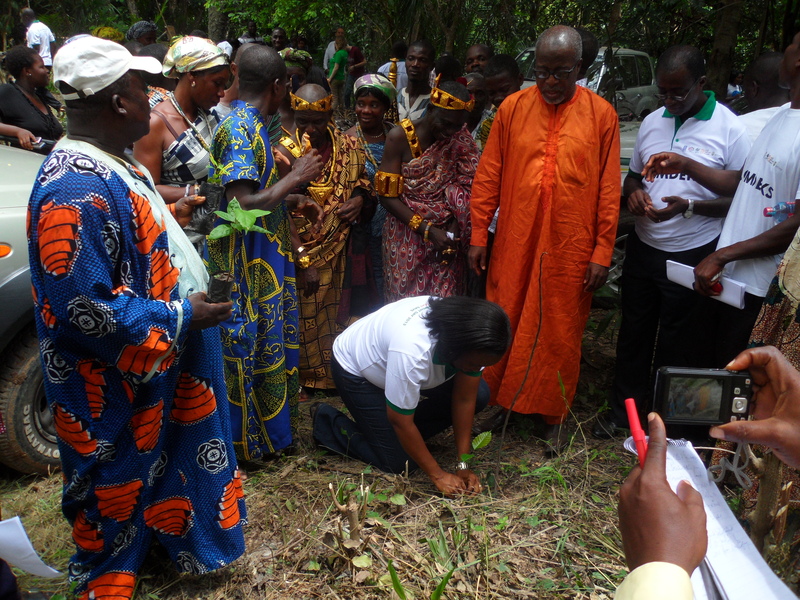 She, joined by the DCE of South Dayi and traditional authorities, planted trees to commemorate the day. 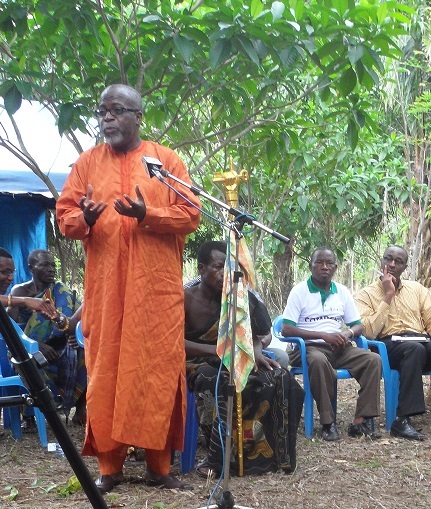 The National Coordinator of SGP Ghana, George Ortsin, explained that the reason for the choice of venue was due to the fact that SGP was working with the people of the area to conserve the Weto range to promote the well-being of the people and their environment. He said the celebration of this year’s WED is very significant in the COMDEKS initiative. Celebrating the day with the grantees and beneficiaries reiterate the aim of the initiative and stress the need for collective decisions to reduce food waste, save money, minimize environmental impact of food production and force food production processes to become more efficient. He then showed appreciation to the entire community and chiefs. An article featuring the event from the Ghana News Agency can be read here. New! The latest issue of the COMDEKS newsletter is now available here.